French giants Paris Saint-Germain will launch a second offer for Chelsea forward Willian following a failed attempt to sign the Brazil international on deadline day. The French club were looking to add some extra firepower to their side after Neymar was ruled out for both legs of their Champions League knockout stages games against Manchester United. But a move for Willian failed to materialise and midfielder Leandro Paredes remained the club's only new arrival in a €45m deal from Zenit St. Petersburg. 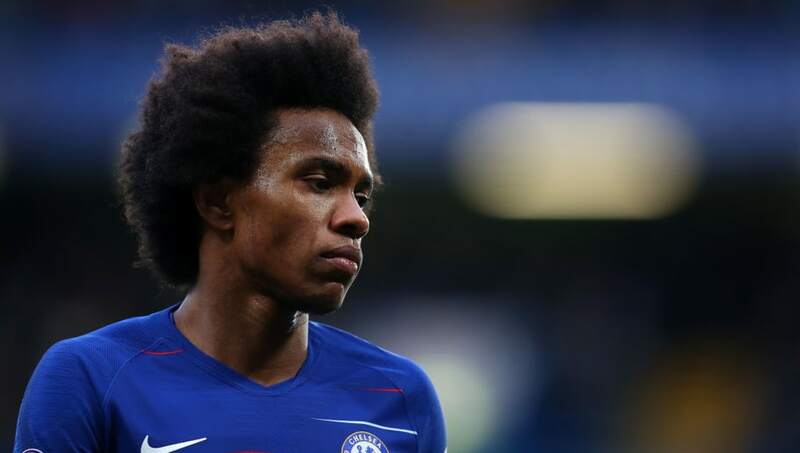 Paris Saint-Germain haven't been deterred though, according to The Sun, and they are determined to once again try to lure Willian away from Stamford Bridge. Their January move for Willian was initially linked with Neymar's potential departure. The former Barcelona star has emerged as Real Madrid's top priority for the summer transfer window ahead of Eden Hazard and his rumoured exit was believed to have opened the door for Willian to move to the Parc des Princes. But Paris Saint-Germain look determined to sign Chelsea's Willian regardless of Neymar's future at the club, as they're currently relying on youngsters to plug the gaps caused by Thomas Tuchel's injury problems. Chelsea pipped Tottenham to Willian's signature six years ago in a £30m deal from big Russian spenders Anzhi Makhachkala - they had Samuel Eto'o, Lassana Diarra, and Yuri Zhirkov on their books at the time - and he's gone on to make 273 appearances for the club. Willian has also been involved in Chelsea teams which have lifted four separate pieces of silverware during that time, including two Premier League titles.